Welcome to Shrewsbury Cathedral, the Mother Church of our Diocese and seat of the Bishop of Shrewsbury. The Cathedral Church of Our Lady Help of Christians and St Peter of Alcantara was begun in 1853 and opened by Cardinal Nicholas Wiseman in 1856. The original design for the Cathedral was drawn up by Augustus Welby Pugin at the request of John Talbot, the Sixteenth Earl of Shrewsbury. Sadly both the Earl and A W Pugin died in 1852 before the Cathedral got off the drawing board. Fortunately, the Earl’s 20 year old heir, Bertram, was happy to continue the project and turned to Pugin’s eldest son, Edward, to complete his father’s work. Tragically, Bertram died, just 23 years old, two months before the Cathedral was completed. Today the Cathedral is home to a thriving parish community as well as serving the diocese as the mother church. It is from his Cathedra, here in the Cathedral, that Bishop Mark Davies presides over the Diocese of Shrewsbury, preaching, teaching and celebrating the sacraments. One of the greatest treasures of the Cathedral has to be the stained glass. 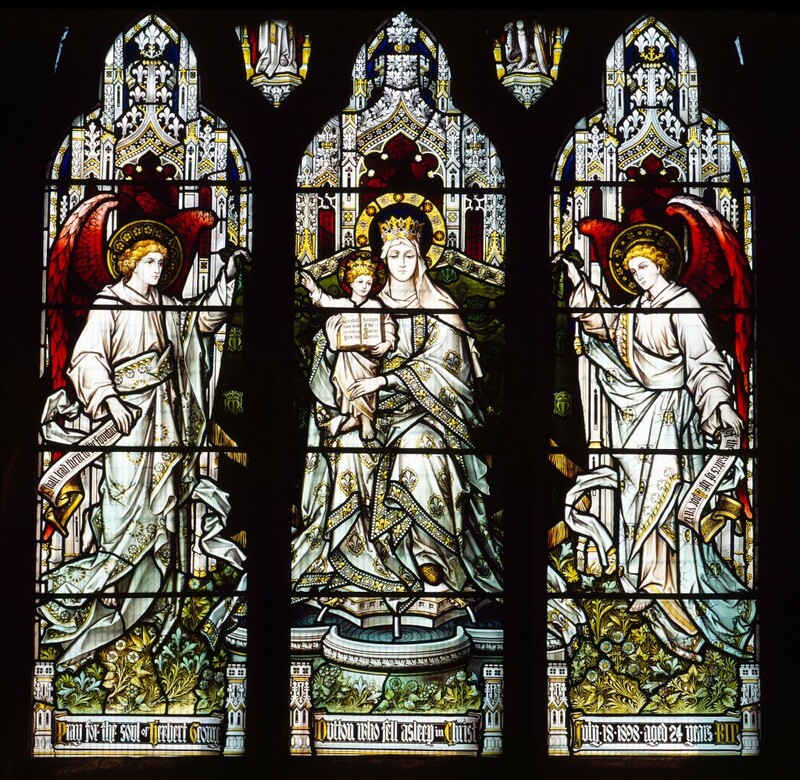 Seven of the windows are masterpieces in the Arts and Crafts tradition by Margaret Rope, an artist born in Shrewsbury in 1882 who later became a Carmelite nun, but continued to design and paint glass for many commissions both here and abroad. Visitors travel great distances to see her work in Shrewsbury Cathedral. Photo courtesy of Alex Ramsay.